Parent and baby classes are increasingly popular, and the choice greater than ever. These days you can even take newborns on courses ranging from massage, yoga, music and swimming, to “signing” (teaching babies simple gestures to communicate needs), and “sensory” (letting babies explore different textures, sights, sounds and so on). Many of these courses promise a range of benefits. For example, signing classes and music groups are often claimed to boost language development while baby massage is supposed to enhance sleep and parent-child bonding. But given that these classes are often expensive and take up time from doing other parent-child activities, do they really deliver any of the benefits they claim? There has been research on some of these activities, so let’s take a look at some of the latest findings. One of the biggest studies on the benefits of baby classes was a systematic review on baby signing. Of the ten papers included in the review, only one found significant benefits in language development for children who were exposed to baby signing. What’s more, these differences had disappeared completely by the time the children were two-years-old. The other studies found a complete lack of evidence that baby signing boosted language skills. Some of this research also suggested that parent-child interactions were improved in a baby signing group, but these findings were inconsistent. Interestingly, two of the papers also found that mothers of babies learning to sign were more stressed than those not taking part, although only one of these studies linked this directly to participation in the class. Overall, then, the evidence for benefits of baby signing is certainly mixed. Another review of previous studies found that babies taking part in massage groups were longer than others. Healthy growth in infancy is important for a child’s health – and poor growth is associated with high morbidity and mortality in childhood. Their meta-analyses also found other significant results – such as babies being heavier, having a larger head circumference and better motor skills. However, apart from the finding about length, these results were generally lost once studies rated as being at high risk of bias were removed, such as groups not being allocated randomly. Interestingly, the review didn’t find any significant evidence that massage classes could boost parent-child interaction or have a beneficial effect on a child’s or parent’s temperament. However, one further study – too recent to be included in the review – did find significant increased mother-infant attachment in the baby massage group, compared to the controls. It is worth noting, though, that participants in this study did not attend a class, but received 15 minutes of baby massage individually each day for the 38 days of the study. More convincing results have been found in studies on baby music classes. In one study researchers compared babies and parents who attended participatory music classes, which involved learning a repertoire of songs, with a control group where babies simply listened to music while taking part in other activities. They found that the infants in the participatory music classes were not only more musically aware, but that they also had better-developed gestures and social skills just after the classes. 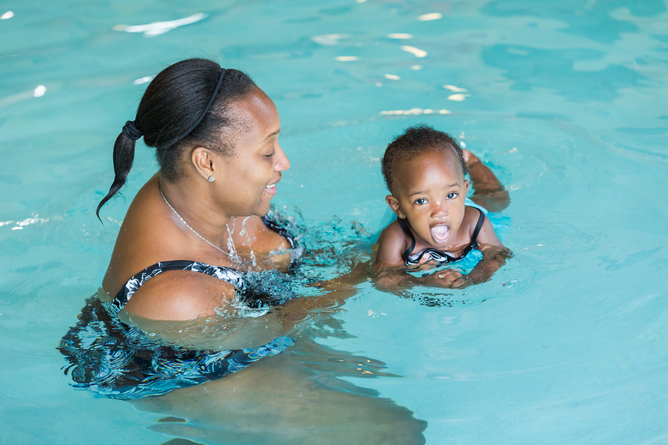 While there is a growing body of research to help inform parents about the potential benefits of baby sign, massage and music classes, very little recent research exists on other classes, such as swimming, yoga and baby sensory. We therefore know very little about how these classes might impact on children’s development or on their relationships with their parents. You might have noticed that, throughout this article, there has been no specific mention of fathers. The majority of research into infants' development tends to focus on babies and their mothers for the practical reason that mothers are more likely to be the main caregiver, particularly in the first year of life. So what should we make of all this? While there is some evidence that attending groups, such as music classes, can benefit children and parents, the bold claims made by the organisers of many groups are often not supported by the conclusive evidence. Nevertheless, more and higher-quality research is needed before we can draw any firm conclusions. The best bet for any new parent is likely to be just do something that both the child and the parent enjoys – whether at home or in an organised group.